The reader is expected to know how directory structures work (on any platform, not linux specific), how to move files (copy and paste files with a GUI), what zipped files are, and how to download the program/files and save them in a place they know. No programming knowledge is necesary. It is very important to read the README file that came with the source files, as this contains additional instructions specific to that program. Step 1 Copy the files to a "working directory"
This script checks that your PC has everything needed to compile this program. If you need to install additional stuff, the configure script will tell you. 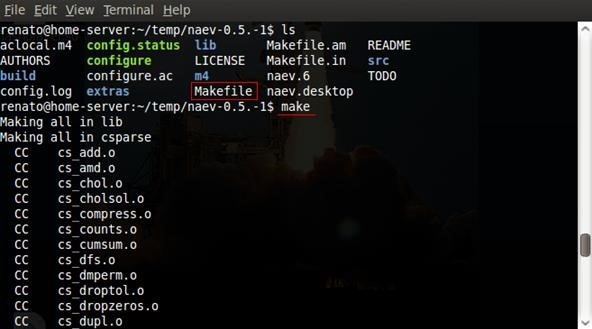 If no error were encountered, you will see a file called Makefile, so you can continue to the next step. 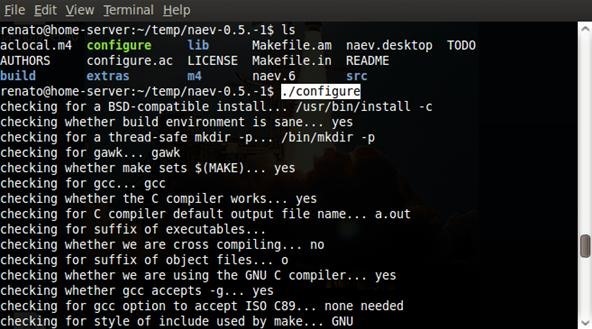 Now you compile the program using a tool called make. After the make process is completed, you should see the executable program in your working directory. You can now run it with ./program where program is the filename of the program you just compiled. You can now keep the executable where it is, or you can "install" it using the command make install, which will copy it to the program directory(s), in case you want to delete this temp directory. This is the basics for compiling a program from source on a Linux (or Unix like) system. In a future article I will talk more on compiling programs you are writing yourself using the GNU toolchain (using g++, ld, as etc), without relying on an IDE to do the compilation in the background.